This nifty little tool keeps track of your links. When installed, it will browse through your blogroll, Pages and posts, looking for links that are broken. Then it lets you do stuff with them. Very handy, but I'm not sure I'd trust it to be running all the time. It does recheck every 72 hours by default, but you can have it check manually as well. WP e-Commerce (wordpress.org/extend/plugins/wp-e-commerce/): If you want to turn your WordPress site into a Web shop, or perhaps just enhance it to sell some merchandise, then WP e-Commerce will most likely be your first stop. The learning curve is a bit steep, but with some tweaking, both design-wise and settings-wise, you can get it to work the way you like. 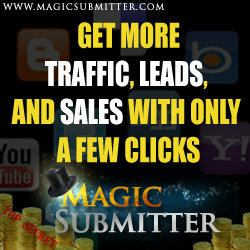 There is a lot of advanced functionality here, such as cross promotions, categorized products, and more. And if you want more you can always pay for the extensions, although the plugin will stand well enough on its own. WordPress Simple PayPal Shopping Cart (tipsandtricks-hq.com/wordpress-simple-paypal-shopping-cart-plugin-768): A less advanced solution to sell stuff using a WordPress site is to implement the WordPress Simple PayPal Shopping Cart. Naturally, it connects to PayPal (only), and features a shopping cart for easy managing of products for buyers. You can add Add to Cart (or whatever text or image you want) anywhere you want by describing the product details in a shortcode fashion. That means that everything around the product, such as descriptions and images, will need to be managed manually. The actual shopping cart can be added in a text widget, or anywhere you like really, which makes this plugin really flexible and easy to get working with just about any WordPress-powered site. Too bad it is PayPal only, but if you're fine with that you really should check this one out. Redirection (wordpress.org/extend/plugins/redirection/): Redirection lets you set up redirects from your blog, so that domain.com/smashing-company/ does a "301 moved" redirect to smashing-company.com instead, or whatever it is you need to do. Pretty Link (wordpress.org/extend/plugins/pretty-link/): If you want to shorten your URLs for use on Twitter, or just hide your affiliate links (that's naughty! ), then Pretty Link is something to look into. Especially if you intend to roll things on Twitter and have a short domain name, because it even has the option to attach a "Pretty Bar", in a manner similar to what Digg and others are doing. Pretty Link is your own URL shortener with options, basically. Pods (wordpress.org/extend/plugins/pods/): Pods is a plugin aiming to make WordPress even more of a CMS. The developers call it a CMS framework, and that's not too far from the truth. You can create content types, data structures, set up relationships and so on. Building a site relying on Pods is sure to give you a lot of freedom. The only problem is it may be a bit daunting to get started with, especially if you're used to the straightforwardness of WordPress itself. Worth a look if you need WordPress to be more CMS-like, though. WPlite (wordpress.org/extend/plugins/wplite/): To some, even WordPress may feel big and scary, especially if the only thing they need to do is publish a news post every month or so. That's when WPlite comes in handy, because it lets you hide parts of the admin interface from different kinds of users, hence making WordPress look less of a beast. This can come in handy when doing static sites for companies in particular, so keep it in mind if you're working with that sort of thing. WordPress Download Monitor (wordpress.org/extend/plugins/download-monitor/): If you're interested in how many times a certain file has been downloaded, say a WordPress theme you've released or an e-book you're giving away, then you can monitor it with the WordPress Download Monitor plugin. It offers upload of files (but you don't need to use that, you can just input the file URL), localization, categories, and easy addition of the downloads to posts and Pages. And statistics of course; that was the important part, after all. WP-Custom (wordpress.org/extend/plugins/wp-custom/): Custom fields may be great, but they are not the most user-friendly elements one can imagine having to educate clients to use. Or your fellow group bloggers for that matter, which is why WP-Custom is so great. It is basically a custom fields creator, but it outputs boxes that makes sense, no keys or values or anything, just a label and an input field. 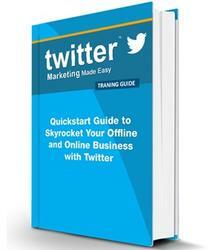 Get ready to read this new and updated Twitter Advanced Guide for Skyrocketing Your Online and Offline Business to Success, which is aimed at presenting to you five top Twitter Powerful weapons that will help your business reach the success it deserves and how to best use them in order to get the highest quality traffic and get the profits you desire.